Should Empaths Develop Mediumistic Abilities? And a Word of WARNING! Because Empaths are an intuitive bunch, it can rouse the question whether they also have psychic and mediumistic abilities. Being mediumistic is not an attribute that falls under the ‘traits of an Empath’, but that is not to say they cannot own the gift. So, what is being a medium? Think James Van Praagh, Alison Dubois or John Edwards. Those who have the ability to connect with the otherside. Some Empaths have mediumistic abilities and some mediums have Empathic abilities. But whether you were born with the gift or not, it is something that can be developed. If it is a topic you are drawn to, and want to develop, you can work towards owning mediumistic abilities. Empaths are highly intuitive and are aligned to most things of a metaphysical nature. They often experience a strong pull towards mediumship in the ‘early days’ of awakening. 1. Do you walk into busy places and find yourself overwhelmed with emotions? 2. Do some people make you inexplicably uncomfortable, finding you stumble over your words or have uneasy sensations in the pit of your stomach when with them? We all know that garlic keeps the blood-sucking vampires away, but what about the other type? The energy vampires? Sadly, it may not be powerful enough to keep the latter away, unless you breathe on them after eating it, but it will certainly counteract any damage they cause, both physically and energetically. Garlic is not only delicious it is also amazing! Especially when it comes to healing the body. It is a powerful antibiotic, anti-fungal and anti-inflammatory, it helps remove heavy metals and contains potent anti-oxidants that help build a healthy immune system. For the Empath, having a variety of quick-fix-pick-me-ups is vital for their continuous health and happiness. After spending time in public places and around draining people, or just when the stresses of life bring us down, the last thing we may want to do is sit in meditation or do energy clearing techniques to realign ourselves. When affected by the energy of a hectic world, the idea of waving a healing wand to rebalance and recharge is a most appealing idea. And this is where essential oils come in. Essential oils work like a magical elixir and have many incredible benefits, they are the perfect way for a busy Empath to stay in balance. The oils help still the mind, clear energy, aid restful sleep and return us to a state of equilibrium. 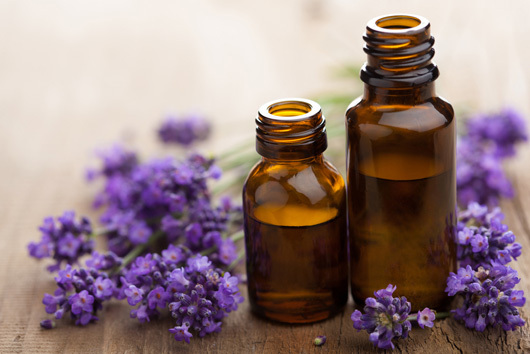 The value of essential oils has been known for more than 6000 years, not only for their amazing healing properties but for their ability to bring balance back to the body and mind, and promote emotional wellbeing. Essential oils are composed of tiny molecules that are easily penetrated by the body. When the essences are inhaled through the nose, the cells that line the nasal passages send a message to the limbic system in the brain, via the olfactory senses. These messages then act as instructions for the limbic system. The limbic system is a part of the brain that controls the major functions of the body and has a huge impact on the emotions and emotional memory (it is also responsible for sparking nostalgia through certain scents). When the limbic system receive the oil’s message it responds to the request and takes action, whether that be to heal the body, calm the mind or both. Depending on the oil will depend on the instruction the body gets. For example: with lavender the message will be one of relaxation, if it’s jasmine oil the message will be to promote calm to the body. The following essential oils are brilliant for the Empath, and have many therapeutic benefits. Not only do they help heal physical ailments but they also work to remove emotional energy held within the body, or within the aura, and act as incredible Empath elixirs. Have you found that you seem to be getting triggered in negative ways recently? Many Empaths are experiencing this. You will especially notice these triggers if in the past years, you have significantly raised your vibration and have done lots of work on yourself in mind, body and spirit. For example: you may find that for most of the time you feel happy, then you come into contact with a certain person and it puts you into a negative place, or you may see a news segment that winds you up. Your thoughts change from being happy to low vibrational. Thinking negatively is not a fault, humans are hardwired into having more negative thoughts than positive. It’s called negativity bias and stems back to our survival instincts from caveman days. We can brood for hours on dark menacing thoughts whilst positive ones may go unnoticed. It only takes 17 seconds for a negative thought to take hold, which could then escalate into hours or days worth of dark thinking, which affects both our emotions and our physical health. So, the question is, why are we getting triggered so much lately and why are we noticing all this negativity? I don’t tend to write about the ‘dark energies’ of our planet, as it is not something I wish to focus on. But we all know there are both dark and light forces at work here. I choose to believe the dark is on its way out, but it does not seem to want to leave without a fight! I think you will probably all agree that, for the Empath, when it comes to wellbeing, there certainly seems to be never ending hurdles to overcome. Like many of you lovely Empaths out there, I consider myself to be somewhat introverted. And living in this extrovert world can often make me feel like I’m a large square peg being pushed into a small round hole. And as is typical of an introvert, the thought of going out in busy peopled places or having to attend bustling social events sometimes ignites a bout of ‘social dread’ for me. So, when I recently came across a condition that causes unnecessary social anxiety and excessive introversion, it immediately caught my attention. The condition is called Pyroluria. and is caused by a lack of vitamin B6 and the mineral zinc. Vitamin B6 and zinc are stripped from the body when under a lot of stress. As most Empaths suffer with high levels of emotional stress, they have to consider their nutrient levels may be low. 50 Ways for a Happy Empath Life! We attract into our life who and what we are. To draw more magnificence to your Empath life it helps to develop a more magnificent outlook on life. Here are 50 ways of being which, if adopted, will see many incredible positive changes happen in your life! Expectations can cause untold pain and frustration. Let them go and it will free you from disappointment. You cannot and should not control everything in life. Acceptance is essential if you want to live a happy, healthy life. When you depend on another to make you happy, or to give your life meaning, you miss out on discovering how incredible you are. Stress and unhappiness are born from chaotic Empath musings. Quieten your mind and calm your thoughts. Judging makes you fearful of judgements. Choose not to judge, yourself or others, and you will find more emotional freedom. Don’t put off today what you can do tomorrow. 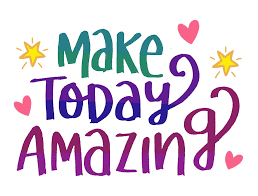 Why waste life thinking about what you could be doing?Just do it! Trying to avoid criticism prevents you from doing what you are meant to do and becoming who you are meant to be as an Empath. Don’t mould others into the people you want them to be and don’t change yourself to please another. Just be! Allow your Empath self to be true. If another treats you badly, it is a reflection on them. Not you! Spending time in nature is grounding and uplifting and will soothe your Empath soul. Good things don’t arrive overnight. People have little appreciation of that which comes easy. No matter what your age: Believe in yourself and continue striving towards your goals. You are here to enjoy your exclusive life experience. Follow your calling not the crowd’s. When you leave your body you only take your knowledge and experiences. Make as many as you can. A failure is an experience that simply teaches you how not to do something. Whatever you choose to do as an Empath you will learn. Don’t let fear hold you back from trying. Keeping away from negative, draining energy will keep you empowered as an Empath. Expect success as an Empath and you will always have it! Follow your passions. When happy in your work success will follow. Youthful beauty fades but inner-beauty continues to grow. Let your inner-Empath-beauty shine! You receive back what you give out. Project powerful, uplifting vibrations into the world and collect the rewards. Don’t wait. Create your Empath dream life. Be the change see the change. No man is better than himself. Putting another on a pedestal instills the idea of unworthiness. Believe in your own brilliant Empath-self! Listening generously, to those who truly need to be heard, is healing. Heal others heal yourself. You don’t need to ‘teach another a lesson’. Believe in karma. What goes around does indeed come around. It is your journey! Choose the Empath life you want to live. Opening your heart to others is a show of strength. Love is empowering. Love will heal you and the world! You wouldn’t hold a fiery ember, so why allow painful emotions to burn within? Creativity allows the Empath’s spirit to soar. If a rule no longer works make a new one. If you want to evolve as an Empath, do something each day that makes you uncomfortable. The only person who can make you whole is you. Spending time alone turns the Empath’s journey into an extraordinary expedition. Being grateful sends a powerful message to the universe that you are open to more reasons to be grateful. A positive inner-voice is the key to a happy, productive Empath life. For lasting health and happiness keep your diet clean. Listen to your intuitive dietary promptings and feed yourself nourishing food. Your body, mind and spirit are connected. Only when all three are balanced will you find harmony as an Empath. Only do it because you want to. You will never please others by constantly giving into their expectations. They just expect more. One of the biggest regrets of those on their deathbed is losing touch with old friends. You cannot make new ‘old friends’. You rarely make friends like the ones who have been in your life for the long hall, don’t forget them. The child in you lived and got through those difficult times; don’t let the adult be punished by them. Why let another’s actions blight your life? Resentment makes you bitter. Let it go. Breathe though and release it. Anger only punishes the bearer. Instead of doing it for them, show them how. Wanting to be right just makes others wrong. Value opinions. Don’t believe everything you read, hear or see. Trust your Empath gut. If it doesn’t feel right chances are it’s not. Doing nice things for others, without expecting anything back, is nourishment for the soul. Like attracts like. Talking like a victim keeps you stuck in that mind-set. Keep your Empath life energised with new experiences every day. Don’t die with your dreams unrealized. Step out there and create them. Your Empath Knowing has more power than you may realise. Let it guide you. How will you know what your true passions are if you don’t seek them out? As an Empath, you become who you spend most time with. Choose wisely. For a joyful life make the decision to feel happy each and every day. And stay away from anything that hinders your joy! If you’re curious why people behave strangely around you or act as though they don’t like you, you may want to read this post: The Mirror of an Empath. Clear Your Empath Clutter Transform Your Life! It is incredible how quickly clutter builds within the home and the mind. How many of us hold onto things long after they’ve outlived their use? Have you kept old clothes for when you lose weight or hope they may come back in fashion one day? Or have you been given a gift you didn’t really like, but kept to avoid hurting another’s feelings? I think it’s safe to say most could answer yes to the above questions. But hoarding, even just a bit, soon sees your home overloaded with junk. Bad news for Empaths or those of a Sensitive nature. An overly cluttered house leads to an overly cluttered energy field. Clutter equates to stagnated energy and is extremely draining to the body and mind. Even clutter the eye cannot see has a debilitating effect on the psyche and creates an overcrowded feeling. If you have a crowded house (and I don’t mean with people) you may not realize how much it depletes your energy. Clutter causes sluggishness, apathy and an uninspired Empath mind. Empaths tend to have an inbuilt loathing of clutter, whether they are aware of their gift or not, and this is because they feel ‘clutter energy’ dragging them down. They may opt for an uncomplicated decor, without too much fuss, for the simple reason all objects hold energy. But over the years clutter unintentionally builds. Many years ago, I read a book by Karen Kingston called: ‘Clear Your Clutter with Feng Shui, it really resonated with me and inspired me to have a full-on house detox. I hatched a plan to rid the home of all unwanted, unused and unhelpful items we had hoarded. My husband and I ploughed through the house, room by room, and cleared tonnes of stuff (slight exaggeration, but you will be surprised how much is crammed into the smallest draw). I have a minimalistic décor style and have never liked visual clutter. So everything removed came out of cupboards, draws and wardrobes. It was amazing how clean, fresh and liberated we both felt afterwards. Removing the clutter also cleared energetic debris held within the unused items. The first thing you need to summon when de-cluttering is bravery. Yes, it may sound silly to suggest being brave when it comes to house-clearing, but it’s often exactly what you need. Letting anything go causes discomfort. Fear always rear its ugly head when making any changes in life. When de-cluttering, fear likes to perch on your shoulder and whisper in your ear, telling you how much you need those unneeded items. Hoarding is born from the fear of lack. By clearing your clutter you face this fear. When your home is full there is no room for anything new to come into your life. In making space, you send out a message to the universe that you are open to receive (but hopefully not to more clutter). To find out whether you really need something in your life simply ask this question: How will this item improve my life? If you can’t come up with an answer (other than it won’t) it’s probably time to ditch or give it to charity. Clearing the clutter doesn’t just have to be of your home, you can have an internal-clutter-clearing session. Disposing of old beliefs, traits or thought patterns is both liberating and rejuvenating. Granted, they’re not as easy to be rid of as belongings, but probably ten times more beneficial. A trait that will serve you no-end in eliminating is overly judgemental behaviour. Although Empaths may dislike judging others it doesn’t mean they won’t harshly judge themselves. Being judgemental is imprisoning and causes untold harm. And it doesn’t have to be vindictive to be damaging: Believing you are not good enough, or another is more worthy is destructive. Self-judgements shrinks your self-worth and clutters your mind with insecurities. Being judgemental catches all Empaths unaware. But when you work to clear it you become more conscious and automatically disengage from judgemental musings before they have chance to do damage. Does this serve me today? Will this serve me in the foreseeable future? Can this serve anyone else? Will keeping/holding onto this make me happy? A word of warning: Within days of having a clear-out your mind will play tricks on you. You will suddenly find use for everything you de-cluttered. You may not have used an item for 5 years but your mind will find a job for it once you’ve binned it. Just know that this is part of the de-cluttering process and it will pass. Hope this post helps you on your Empath journey. 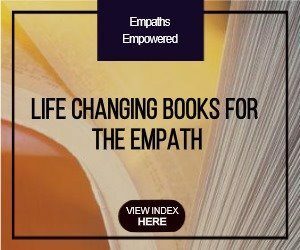 In recent months, I have had many comments asking how to develop the traits of an Empath. Many are now wanting to follow their calling but are not sure how to do it. So, what do I mean by developing the traits of an Empath? Basically, it means being able to tune into the energy belonging to others, to discern it from one’s own or to better understand what another is experiencing. It can also mean to transmute negative energy. Although an Empath came into the world ready to do their job of transmuting negative, dense and dark energies, many find they are taken down by them. For this reason it is essential an Empath finds balance. There are many things about modern life that pushes an Empath out of balance. This not only makes life difficult and sometimes painful, but it also means the energy they pick up has a negative impact. You would think the more challenges an Empath faces the easier life would become. Not always the case. Many Empaths find the further they travel in life, the steeper their climb. I guess this comes down to: the more achieved the more expected. Empaths are constantly at work in the unseen realms mopping up negative energies. 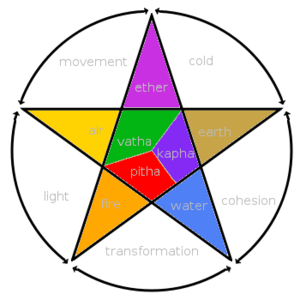 Whether they are aware of it or not, they go through life transmuting energy. And, as there seems to be a never-ending supply of dense and dark energies, they are always on call. It is part of an Empath’s life-path to help bring balance into this chaotic world and many are doing this without being conscious of it. Sadly, the job of an Empath is thankless and, usually, an unrecognised one. The majority are unaware of just how much an Empath has to deal with. What makes matters more frustrating is if they get labelled as being lazy, because of their Empath fatigue, or unsociable, because they have to avoid the collective energy of other people. Negative energy can make an Empath physically ill, especially if they are out of balance with a weak energy field. And it’s the type of imbalance a medical doctor cannot treat. Learning to discern between the energies/emotions coming from their external environment, and that of their own, proves to be a huge challenge for an Empath, but it is one of the first things they need to become aware of for self-protection (see this post). It is too easy for an Empath to take on another person’s pain and mistake it as their own. This causes stress and emotional turmoil, which may then lead to unnecessary illness. A good diet and exercise is one of the best ways to keep a strong energy field. I recently watched a program about solar flares (coronal mass ejections) and how power plants protect themselves from their impact. When a solar flare is expected to hit, the power station cranks up the electricity in the grid to full blast. This gives a protective shield and diffuses the energy of the flare through the grid. By doing this, the Sun’s energy cannot destroy the system. This reminds me of what happens when we do vigorous exercise: we crank up our feel good endorphins, which in turn raises our vibration and builds a stronger energy field, so that when the external energies hit, they simply get diffused. Even just 5 minutes working out to your max reaps huge benefits. As well as doing exercise, to help develop one’s traits, it is good to keep a quiet mind. Negative thoughts cause stress and emotional turmoil. Because an Empath picks up the thought-forms of others it is imperative they have control of their own mind and thoughts. Meditation is the best way to get a still mind. For some Empaths, however, meditation is difficult to do or keep up. There are many reasons for this. But if you are one who finds meditation incredibly frustrating, do not despair. There are some other brilliant techniques you can try that will help calm your mind (see this post). If you are interested in developing intuition, which will also help develop your Empath traits, there are some easy steps to take (see this post). However, if you are more drawn to developing other metaphysical abilities such as: healing or clairvoyance it is best to do so under the guidance of a good teacher (who knows about Empath abilities). Opening up energetically to the invisible realms, as an Empath, could lead to some scary or uncomfortable experiences. Having a good teacher to guide you will protect you from having any unnecessary nasty encounters. Hope this helps on your journey as an Empath.